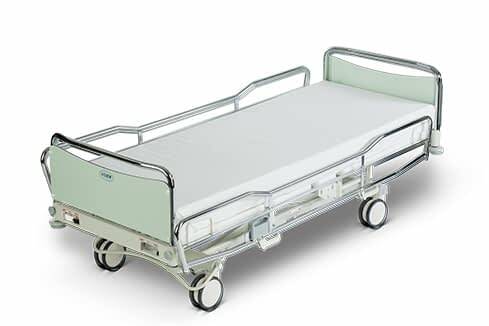 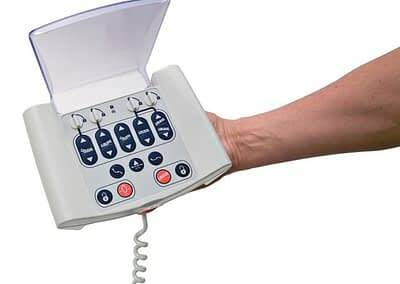 The quality ScanAfia XTK hospital bed is the safe choice for hospital wards. 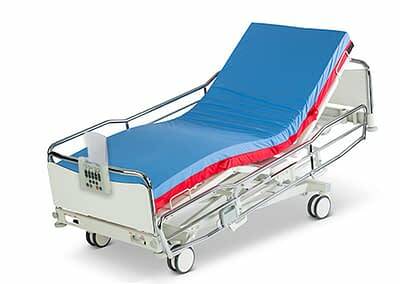 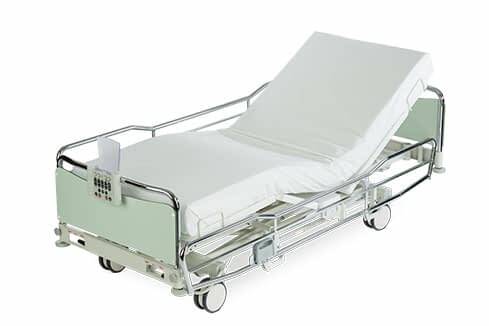 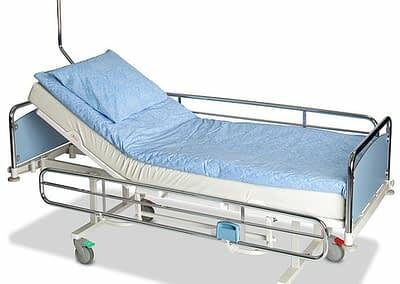 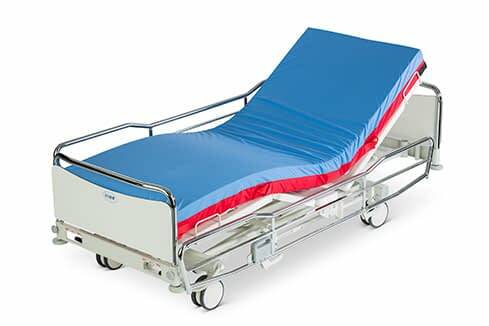 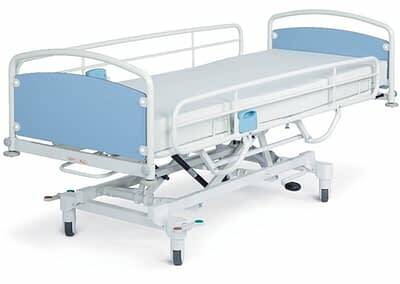 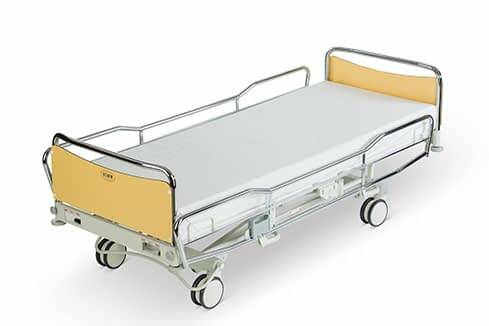 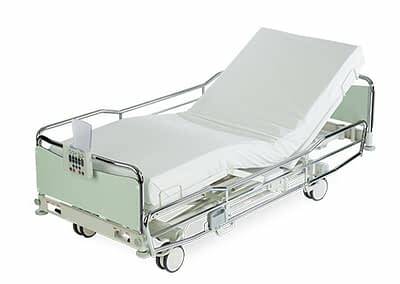 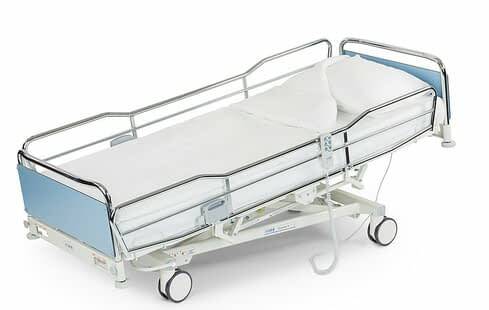 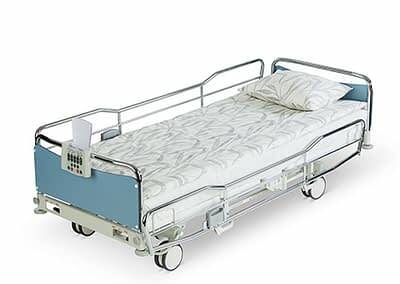 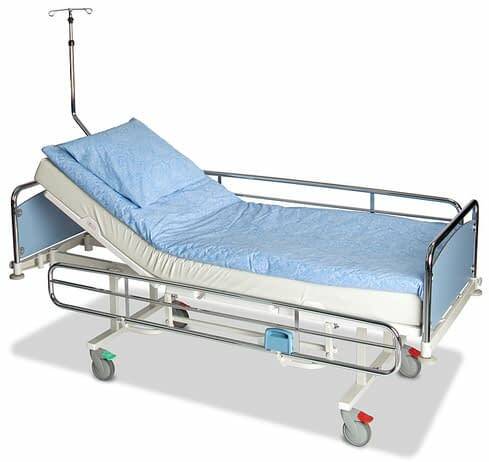 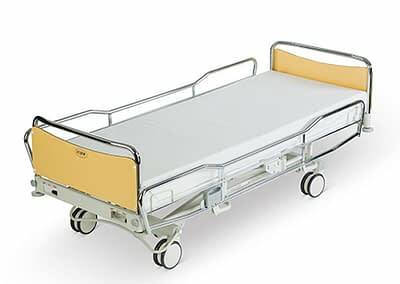 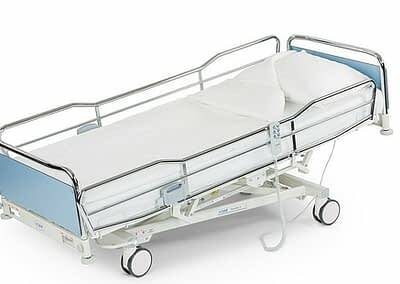 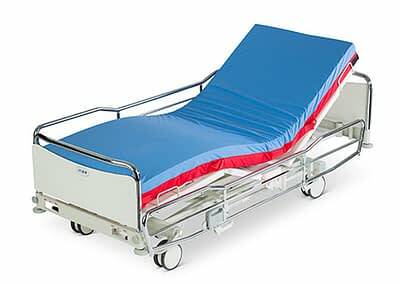 The bed has been designed for use by healthcare professionals in hospitals, healthcare centres and similar facilities, and it fulfils the requirements of the new EN 60601-2-52:2010 standard for medical beds. 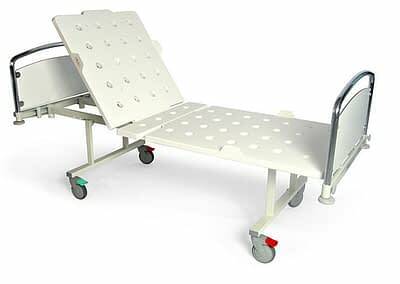 Although it can take loads up to 260 kg, the ScanAfia XTK hospital bed is still light and easy to manoeuvre, thanks to its double castors. 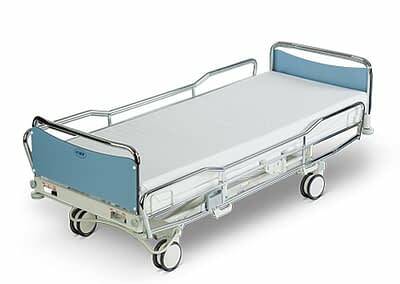 The design places emphasis on both ergonomic working and patient comfort and accessibility; its exceptionally low minimum height makes work easier for nurses and makes getting out of bed easier for patients. 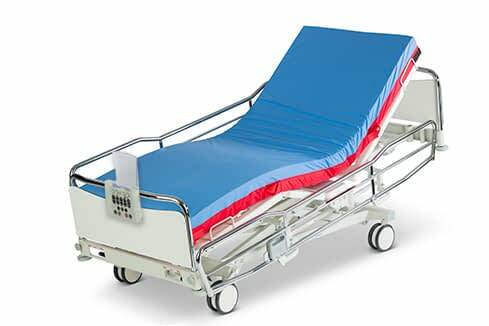 The back section slide mechanism also improves patient comfort. 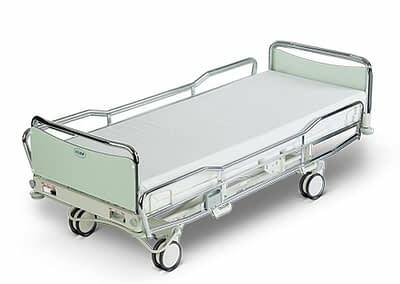 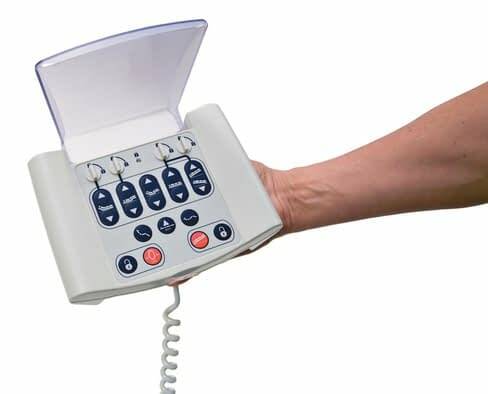 Our many years’ experience in designing and manufacturing hospital beds ensures that the ScanAfia XTK provides a long service life with minimal need for maintenance. 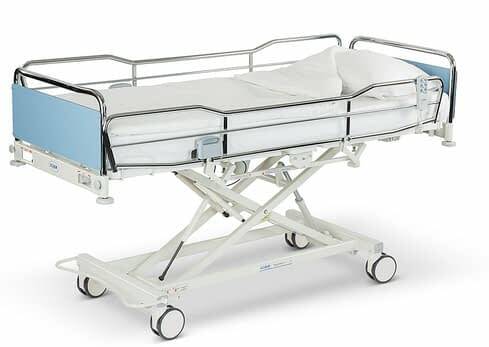 The quality ScanAfia XS hospital bed is the safe choice for hospital wards. 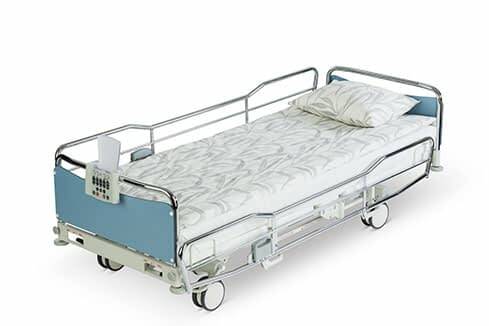 The bed has been designed for use by healthcare professionals in hospitals, healthcare centres and similar facilities, and it fulfils the requirements of the new EN 60601-2-52:2010 standard for medical beds. 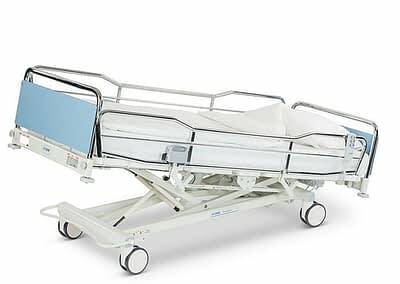 Although it can take loads up to 260 kg (SWL), the ScanAfia XS hospital bed is still light and easy to manoeuvre, thanks to the optional choice of double castors. 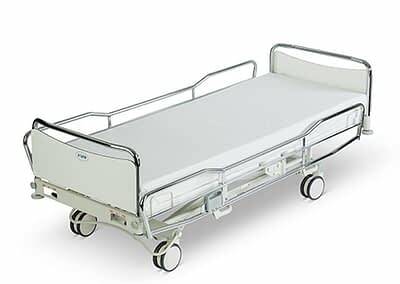 The design places emphasis on both ergonomic working and patient comfort and accessibility; its exceptionally low minimum height makes work easier for nurses and makes getting out of bed easier for patients. 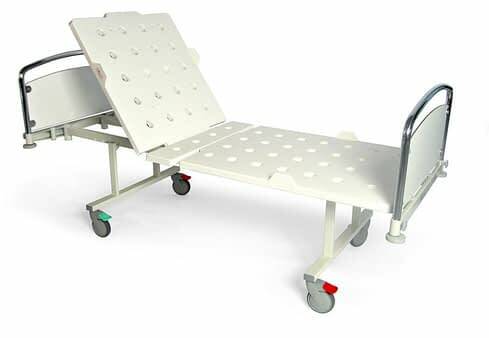 The back section slide mechanism also improves patient comfort. 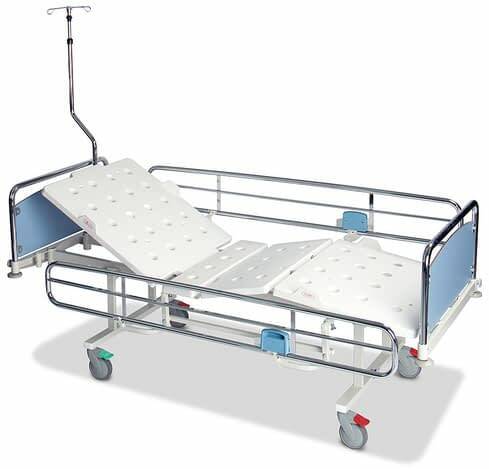 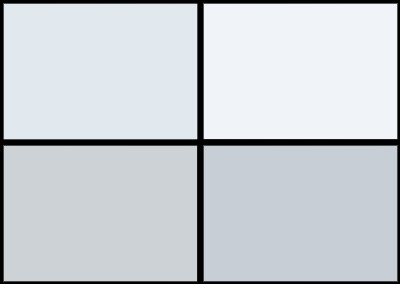 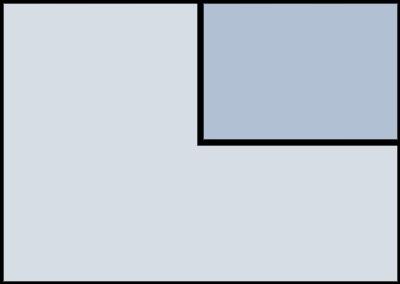 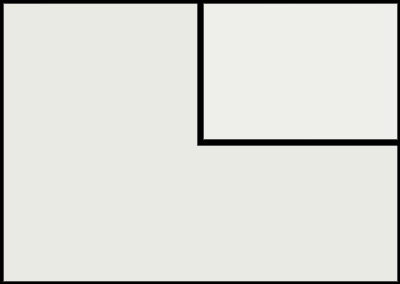 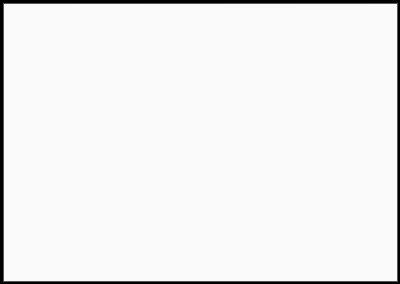 The bed also features an extremely broad Trendelenburg / Anti-Trendelenburg adjustment range. 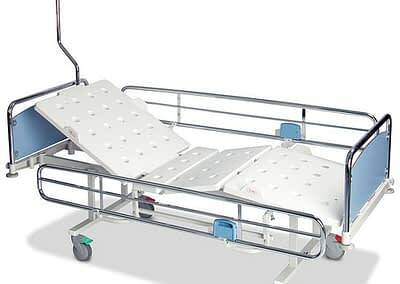 2-part bed section (205 X 80/90 cm), with electrical height and back section adjustment. 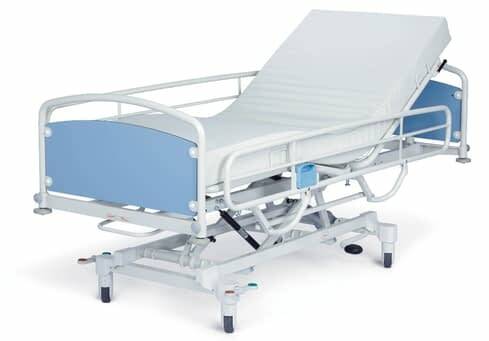 4-part bed section (205 X 80/90 cm), with electrical height, back, calf- and leg section adjustment.